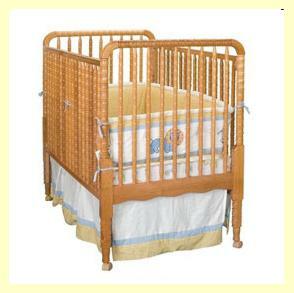 If you are planning a simple, traditional baby nursery, you can't go wrong with the classic style of the Jenny Lind. Named for the celebrated opera singer of the 1800's, Jenny Lind cribs are simple and inexpensive with drop sides and are uniquely designed with their turned knobbly legs and spindles. The timeless, elegant design also makes these spindle cribs the perfect match for a shabby chic nursery or to go with vintage nursery decor. Comes with four mattress positions, a teething rail and locking casters and is available in a white, cherry, ebony or honey oak finish with a matching changing table. Comes with four mattress positions, a teething rail, locking casters and a single drop side, and is available in a white, cherry, maple or oak finish with a matching changing table. 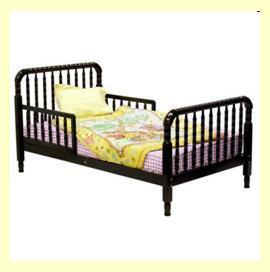 Comes with a mattress and locking pins, and is available in a white or cherry finish with a matching changing table. 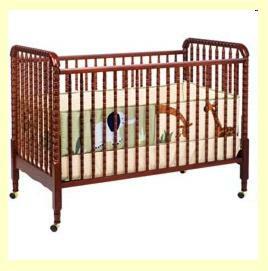 Comes with a safety strap and detachable tray, and is available in a natural or oak finish. Available in a natural, oak, cherry or white finish. Available in a cherry, espresso or natural finish. 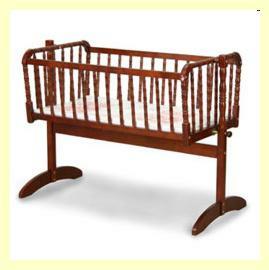 Jenny Lind Cribs are a wonderful addition to any baby nursery with their picturesque beauty and turn of the century appeal. 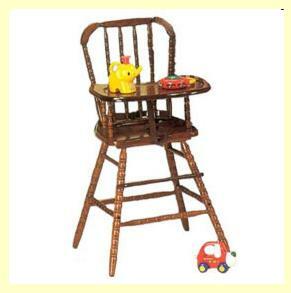 They're perfect in a vintage or shabby chic nursery and they are relatively inexpensive. If classic simplicity is your goal, you really can't go wrong with these spindled masterpieces. 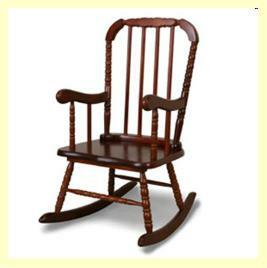 Find out more about using vintage nursery decor in your nursery design. How to decorate a shabby chic nursery.